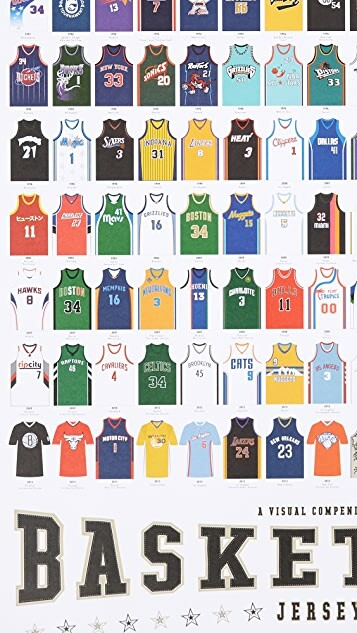 This all-star infographic of 165 basketball jerseys is a stunning survey of the sartorial side of pro, semi-pro, and fictional basketball teams. 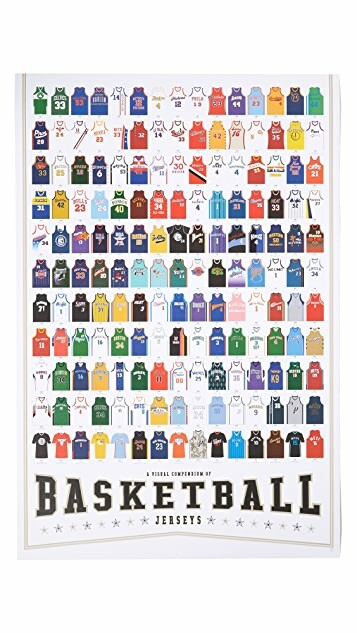 Starting with the New York Celtics in 1921, this breakdown includes fashion centerpieces like the '72 Nets, the '89 Magic, and even a selection of pop-culture jerseys like Tune Squad and Monstars from the 1996 classic 'Space Jam'. Also features the many custom tops of hip-hop and vintage throwbacks.